Resistance to cotton bollworm (Helicoverpa armigera) is being controlled in Australia through world-leading strategies. Resistance to antibiotics and pesticides (known collectively as biocides) is rising at alarming rates. Doctors are seeing more patients with untreatable infections and in some areas, farmers are unable to kill off weeds and insects that reduce their crop yields. Despite this, there is no global framework to track the threat to human health and crops. To start addressing this gap, a group of researchers across the globe, including our Senior Principal Research Scientist Dr Sharon Downes, have worked out the estimated antibiotic and pesticide ‘planetary boundaries.’ If resistance to antibiotics and pesticides goes beyond these boundaries, societies risk large-scale health and agricultural crises. When it comes to antibiotic resistance, alarmingly, the study found that one group of bacteria: Gram-negative bacteria, which includes well-known pathogens such as Salmonella, Klebsiella pneumoniae, and E. coli, are already beyond the ‘planetary boundary’, as some species are already resistant to all or most antibiotics tested. Lead author of the study, Søgaard Jørgensen, from the Royal Swedish Academy of Sciences and Stockholm Resilience Centre believes it is unlikely we will be able to reverse the spread of resistance. 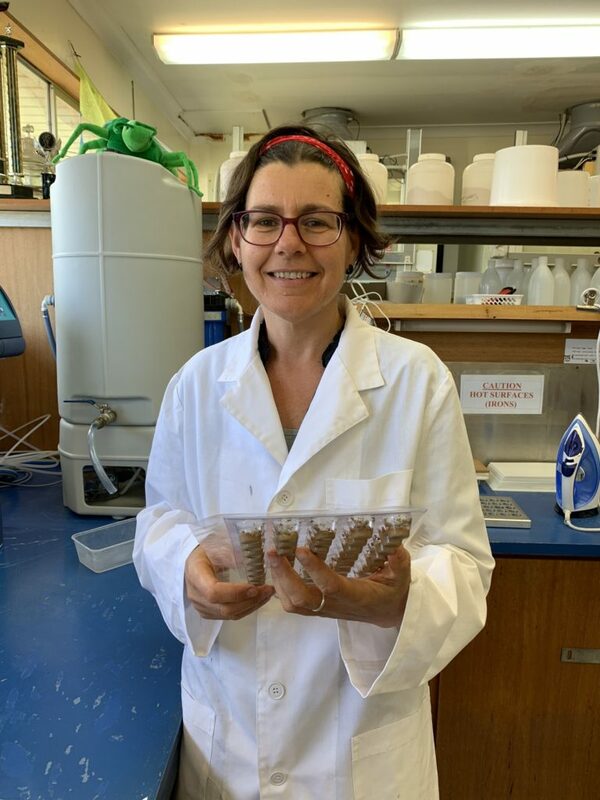 Sharon Downes, Principal Research Scientist at CSIRO, has been tracking resistance by cotton bollworm to Bt cotton in Australia for over 15 years. Sharon’s work in this study focussed on pesticide resistance in broad acre cropping. For several years, Sharon has been working with the cotton industry in Australia to better manage the key insect pests which reduce yields. 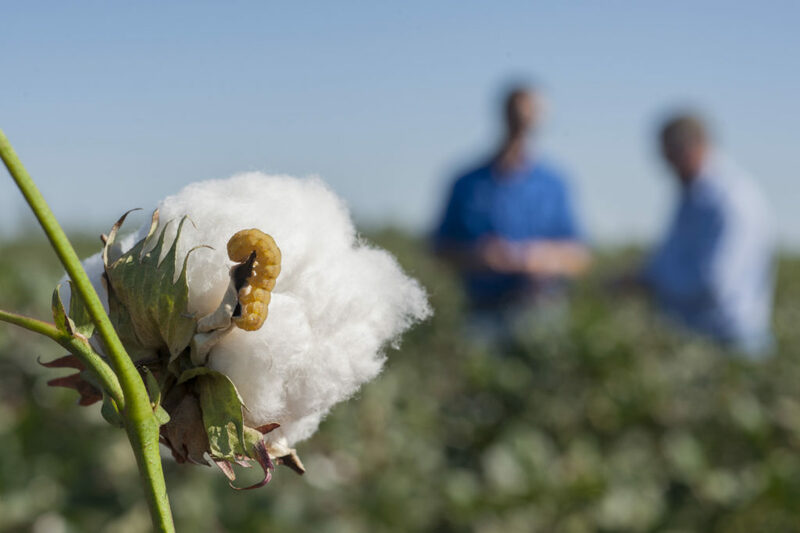 The majority of cotton varieties now grown in Australia (known as Bt cotton) have in-built protection against their major nemesis, the cotton bollworm. While this has greatly reduced pesticide use (by at least 85 per cent) and its associated detrimental impacts on beneficial animals such as pollinators, it has given rise to new concerns. Sharon and her international colleagues have found that in some regions of the world, there is already widespread resistance to the Bt toxins that have been bred into current cotton varieties. However, despite detecting relatively high starting levels of resistance in the insects in Australia to two of the three toxins that are in the current types of Bt cotton, the resistance hasn’t spread to-date. Sharon attributes this to the robust strategies that she developed with colleagues and industry stakeholders which obliged Australian cotton growers to steward Bt cotton since it was introduced in the mid-1990s. The strong communication and social networks across the Australian cotton industry are also critical for enacting good stewardship and thwarting resistance. The Australian industry have in place strategies for Bt cotton that are considered world-leading in reducing the risk of the spread of resistance. One of the strategies is getting cotton growers to set aside areas among their crops where they grow cotton plants that don’t have in-built toxins. In these areas, susceptible insects, i.e. those that are not affected when they eat the toxins, are able to thrive. This strategy has a muting effect on resistance because the resistant insects interbreed with susceptible insects. The impact of preserving susceptibility to Bt cotton is that there is almost no need to apply insecticide sprays to control the cotton bollworm in this crop. This has the flow on effect of also preserving beneficial insects, like spiders and parasitoids (insects whose larvae kill their hosts), which can further help to control the bollworm and a range of other crop pests. Attempts to wipe out all bacteria and pests will not help with the problem of resistance. These approaches undermine the benefits we receive from nature. In our fight against resistance we actually need to build up the number of bacteria and insects that are susceptible to pesticides and antibiotics in the same way that Sharon and her team have been recommending for Australian cotton farming. Global movement and trade is creating a world where increasingly everyone is fighting the same biota using the same methods and selecting for the same global resistances. This means that to be truly effective, strategies to preserve susceptibility need to be used everywhere. It’s no longer enough to be good stewards of technology only in our own backyard.